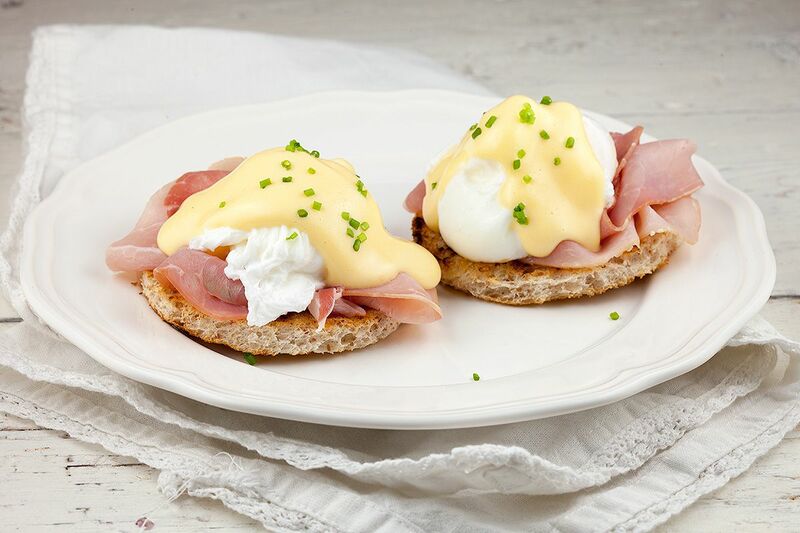 First CREATE a gastrique for the Hollandaise sauce, follow this recipe. FILL the medium-sized pan with water, a dash of vinegar and salt and bring to a boil. ADD a bit of vinegar and salt in each small bowl and crack the eggs into them. 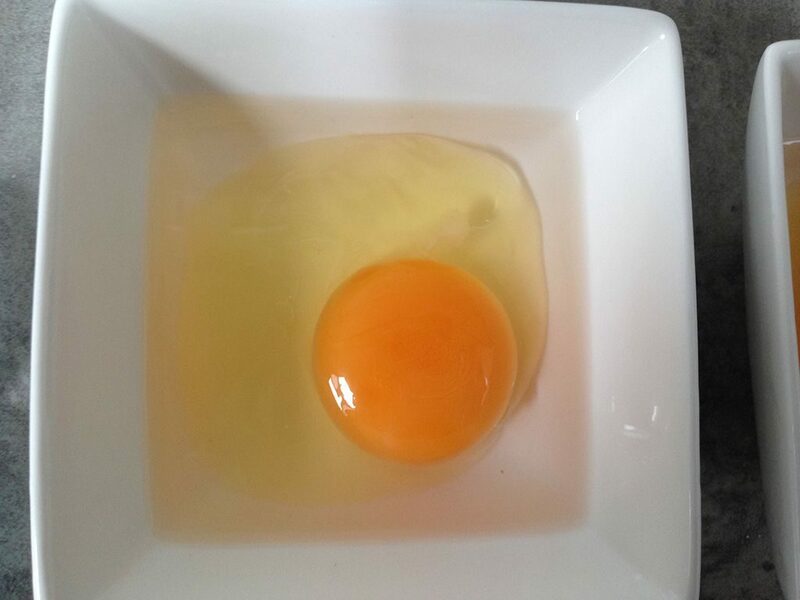 As shown on the picture below, you’ll notice the egg will keep a pretty shape, that’s the effect of the vinegar. Make sure they cold, by placing them in the fridge or place an ice-cube in each bowl. If you’re using slices of bread instead of English muffins, you can use a round cutter to create beautiful round slices. GRILL both sides until you’ve reached the grill pattern. Finely CHOP the chives and meanwhile also make the Hollandaise sauce. 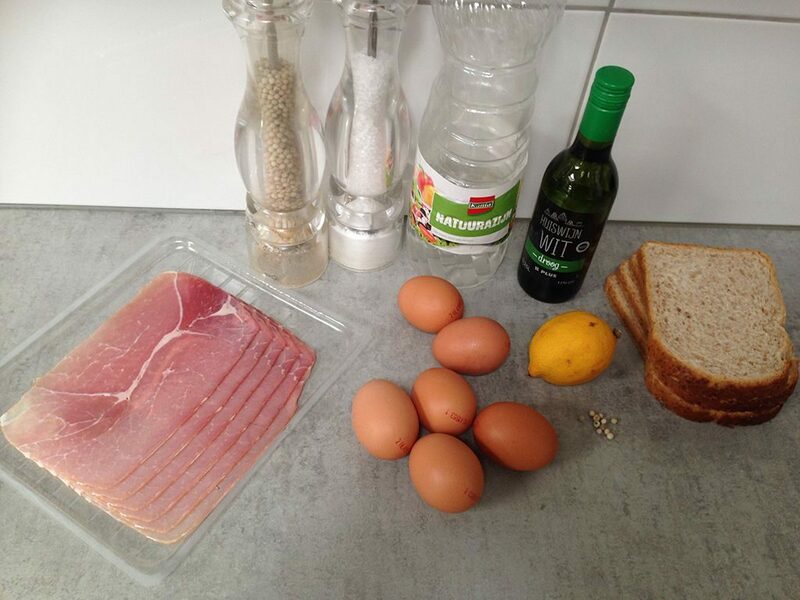 PLACE the grilled slices of bread on the plates and place a slice of ham on top. FILL the medium-sized bowl with warm water and set aside. Turn down the heat a little bit, so the water won’t boil. Slowly ADD the eggs to the water, let them slide from the small bowl into the water. 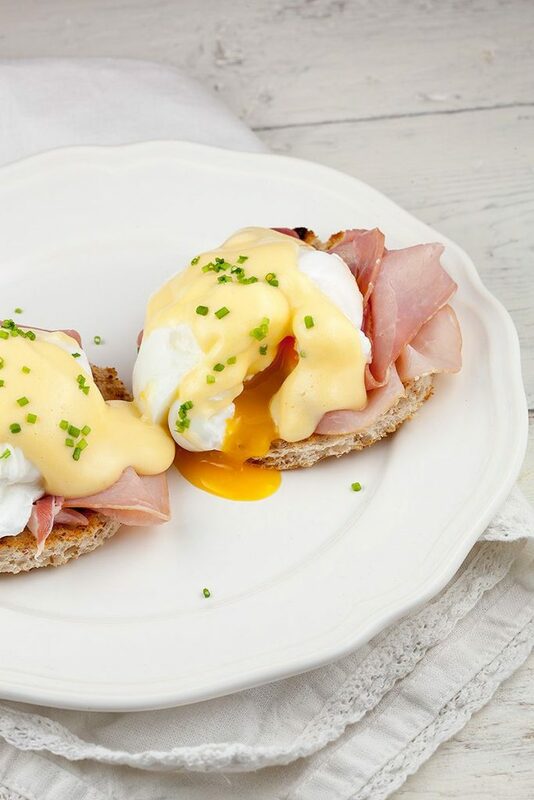 You’ll notice the egg will stay together for a lovely poached egg. The water shouldn’t bowl, so slightly under the ‘boiling point’. Let them cook for about 3 to 4 minutes and use a skimmer to TRANSFER them into the warm water. RINSE them shortly to get rid of the excess vinegar. PAT them dry using paper kitchen towel and place them on top of the ham. SEASON with pepper and salt. 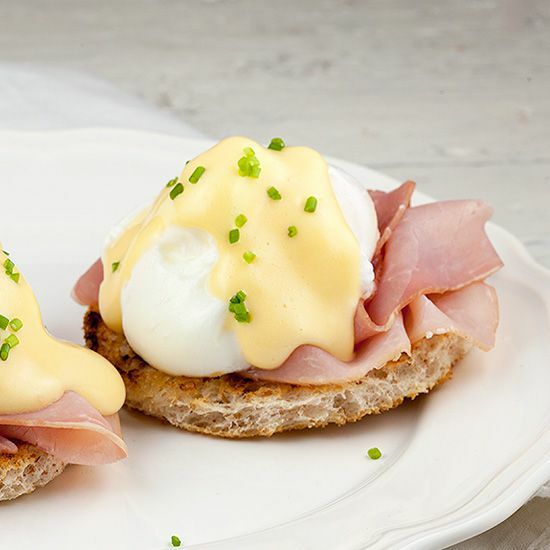 SERVE with Hollandaise sauce and garnish with chives. Enjoy! They look delicious. One of my favourite brunch dishes. Thank you, they were super delicious!